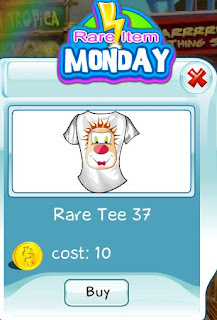 Another rare tee for you collection is available. Rare Tee 37 features a crazy looking clown. Don't ask me why. It's available today only and will be gone soon.